Good health is important and a great of effort is put into staying healthy by eating better, exercising at home or at the gym, and modifying lifestyles as necessary to promote the goal of good health. Something as simple as having the correct posture when seated tends to be forgotten; despite all the effort put into remaining healthy, many backs are unknowingly damaged by using a bad chair. This is significant for office workers who spend many hours a day seated and suffer the highest rates of back-related workplace injuries from having ill-fitted seating. Getting an ergonomics chair can alleviate most of these problems and allow for backs to remain healthy and maybe even improve some existing conditions. Sitting in a regular chair is fine for short periods of time; long-term sitting can cause joint and disc stress as well as strain on muscles and tendons. Because conventional seating does nothing to keep the back in a natural position to support the normal curvature of the lower spine, over time such poor posture can cause spinal damage in the form of compressed discs, arthritis and other conditions. This damage can progress to nerve damage, joint damage of the neck, shoulder and hips, and other overall health concerns. Ergonomic chairs, through ideas created from years of research and testing, combat most of these problems by providing a way to sit while maintaining correct posture. This seating is completely adjustable in seat height, backrest support, and armrest height and width. This will create a unique sitting experience, one that is individually tailored to provide the support that is needed. By providing a means for sitting correctly with lumbar support that helps a user remain physically comfortable with the back in its natural position, ergonomic chairs are extremely valuable to everyone who sits for long periods of time. Correcting the seated position can even alleviate some back problems once the body becomes accustomed to actually sitting correctly. In being so customizable and therapeutic, an ergonomic chair is the office seating equivalent to using fitness equipment at the gym – each machine must be individually adjusted to a user’s shape and size to safely help maintain proper physical fitness. Keeping the back healthy and resolving back pain is the main benefit of having an ergonomic chair – and there are other positives as well. Reducing pain and increasing support and comfort can brings relief in other conditions as well. Irritability and depression decrease when discomfort is reduced, as can digestive issues, concentration deficits, and even decreased immune function. A healthy back is an important key to health; it is the road-map of nerves throughout the body that can promote correct breathing, efficient body functioning and as a result, better overall health. People who are healthier and more comfortable are happier working and able to do more, which is amazingly beneficial considering it was only gained through only the use of a better chair. Anyone who sits for any length of time, whether it is for computer work or another reason, should seriously consider upgrading to an ergonomically-designed chair. Available in multiple styles to help all different types of people, backs will be thankful for good support and doing away with the uncomfortable, average office chair! Get Your Next Ergonomics Chair at the Ergonomic Chairs Store! 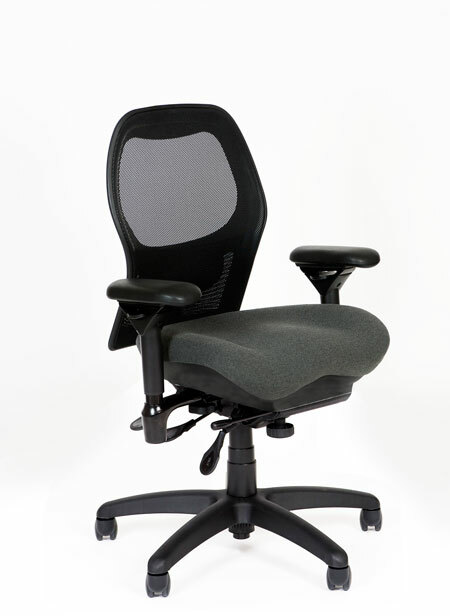 Have you ever wondered how ergonomic chairs can help solve back problems? Call the Ergonomic Chair Store at 979-217-3044 to discover the difference one of these chairs can make in your life!